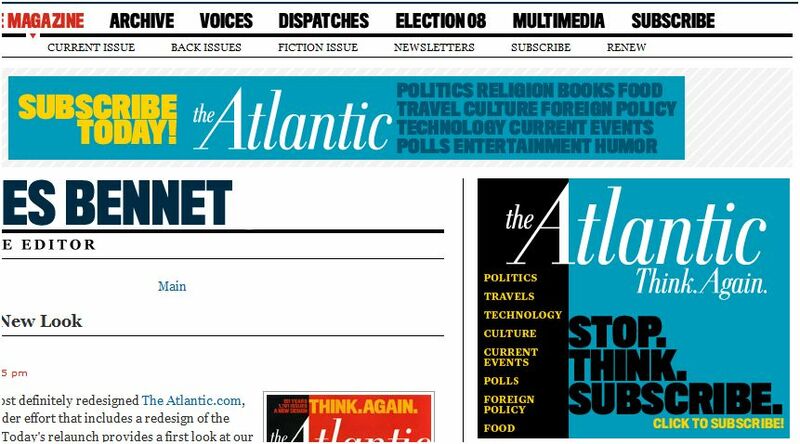 Atlantic.com: Putting the “Re-” in Reiterations | Web 2.Oh. . .really? This entry was posted on 7, October, 2008 at 5:44 pm and is filed under journalism, magazines, print-to-digital, TheAtlantic.com. You can subscribe via RSS 2.0 feed to this post's comments.